Actor Tiger Shroff, who is all set to step into the shoes of Sylvester Stallone in the Bollywood remake of Rambo, told news agency PTI that the preparation work for the film will be 'exhausting' as there a lot of expectations from the film. Rambo is a remake of Sylvester Stallone's iconic film of the same name. Speaking to PTI, Tiger Shroff said that the film is a 'tribute' to the Hollywood legend. "Rambo is still far off. The preparation work will be exhausting especially (as) there are a lot of expectations and it's a cult action film featuring one of the legends of Hollywood. I don't replace him I am just giving him a tribute," PTI quoted Tiger Shroff as saying. Rambo being directed by Siddharth Anand, who has previously helmed Bang Bang!, a remake of 2010 Hollywood film Knight And Day. The film is expected to go on floors next year and will reportedly release by the end of 2018. "There is no prep work as such for the film as I am busy with the promotions of Munna Michael. And then I have Baaghi 2 and Student of the year 2 to do," PTI quoted Tiger Shroff as saying. 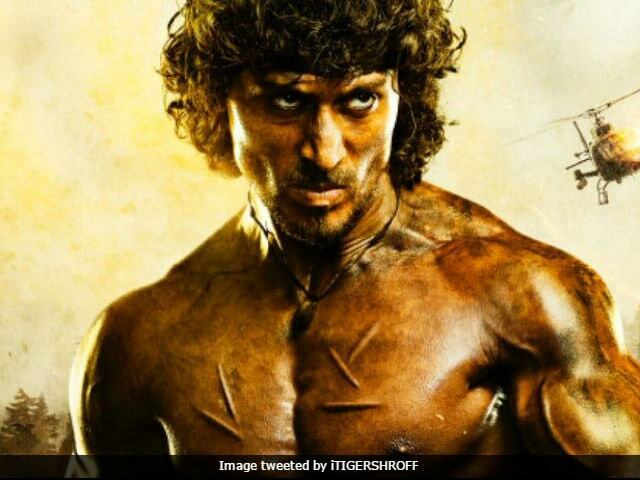 The first poster of Rambo, which features an angry looking Tiger Shroff, was unveiled in May. When Sylvester Stallone got to know that Rambo is being remade in Bollywood, the 70-year-old actor posted on picture of himself as soldier John Rambo on Instagram and wrote: "I read recently they are remaking Rambo in India. Great character. Hope they don't wreck it." Tiger Shroff, who will be sharing the screen space with his rumoured girlfriend Disha Patani in Baaghi 2, said that he shares a 'great bond' with the 25-year-old actress. "Definitely, I will be more at ease for sure as we (Disha and I) share a great bond and I am more comfortable with her," Tiger Shroff told PTI. Tiger Shroff is currently busy promoting his film Munna Michael, directed by Sabbir Khan. The film, which also stars Nidhhi Agerwal and Nawazuddin Siddiqui in key roles, is scheduled for release on July 21.